Our adwords optimisation has produced amazing results with a $2.50 cost per call. 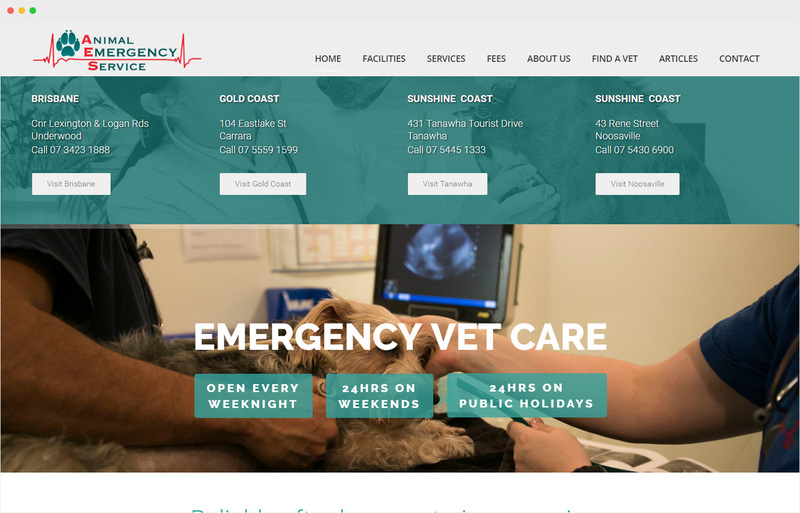 We know how much pet owners love their pets so when there is an emergency it is super important that they not only find AES, but that they can call easily and find their address with no delays. 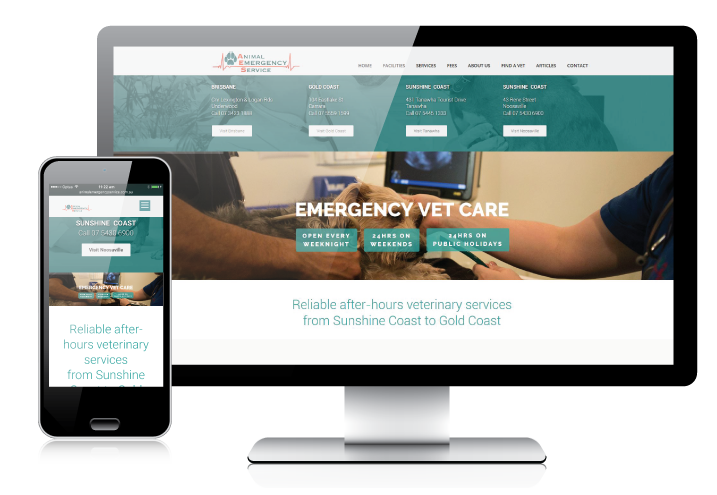 We redeveloped their website so it was super optimised for mobile, with a quick call function. They have five clinic locations so finding the closest hospital, could truly be a matter of life or death. We also worked hard on their organic reach to increase traffic and leads. 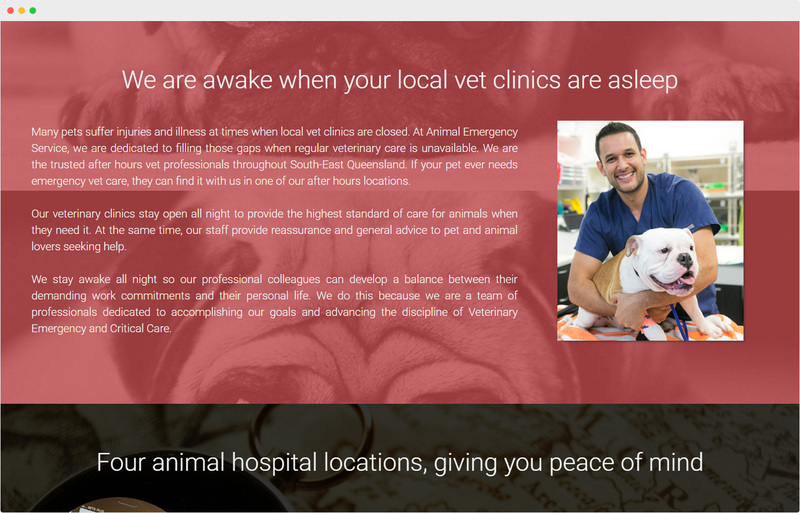 We devised a detailed digital strategy and deliver it through dramatic, cute and engaging content - their Facebook reach has sky rocketed to over 200,000 a week.